In Colonial India, at a time of growing friction between the ruling British and the restless Indian populace, a Victorian woman and her young Tamil Indian servant defy convention, class, and heartbreak to investigate what is gained - and lost - by holding life still. Suggested by the life and work of photographic pioneer Julia Margaret Cameron, The Luminist filters 19th century Ceylon through the lens of an English woman, Catherine Colebrook and a 15 year old Tamil boy, Eligius Shourie. Left fatherless by soldiers, Eligius is brought as a servant to the Colebrooks' neglected estate. In the shadow of Catherine's obsession to arrest beauty - to select a moment from the thousands comprising her life in Ceylon and hold it apart from mere memory - Eligius transforms into her apprentice in the creation of the first haunting photographs in history. Fledgling illustrator and Darcy fanatic Kay Ashton settles in the seaside town of Lyme to finish her book, The Illustrated Mr. Darcy, when a film company arrives to make a new adaptation of Persuasion. Kay is soon falling for the handsome bad boy actor playing Captain Wentworth, but it's the quiet screenwriter Adam Craig who has more in common with her beloved Mr. Darcy. Though still healing from a broken heart, Adam finds himself unexpectedly in love with Kay, but it will take more than good intentions to convince her that her real happy ending is with him. The first time Julia Beckett saw Greywethers she was only five, but she knew at once that it was her house. Now, twenty-five years later, by some strange chance, she has just become the new owner of the sixteenth-century Wilshire farmhouse. But Julia soon begins to suspect that more than coincidence has brought her there. As if Greywethers were a porthal between worlds, she finds herself abruptly transported back in time. Stepping into seventeenth-century England, Julia becomes Mariana, a beautiful young woman struggling against danger and treachery, and battling a forbidden love for Richard de Mornay, handsome forebear of the present squire of Crofton Hall. Each time Julia travels back, she becomes more enthralled with the past, falling ever deeper in love with Richard...until one day she realizes Mariana's life threatens to eclipse her own--and that she must find a way to lay the past to rest, or risk losing a chance for love in her own time. I enjoyed Mariana. Great Mailbox! Hope they all turn out to be good reads for you! Enjoy all your new books. Mariana looks interesting, I loved Winter Sea but her. Ooh, Susanna Kearsley! I just discovered her writing with The Rose Garden, a very enjoyable read. Have a great week, Laura, and enjoy your new books. I often Dream of Mr. Darcy. 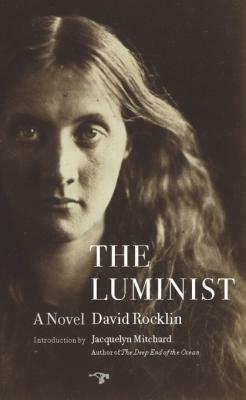 One of my best friends in all the world, who's not a blogger, told me about The Luminist last week. It's great to see it here; I think I'll need to get it! Ooh that first book sounds really good. And I've been meaning to read Susanna Kearsley for a while. I look forward to your reviews! I will read just about anything with Mr. Darcy in the title, that book looks really fun! Ooh, The Luminist looks good! 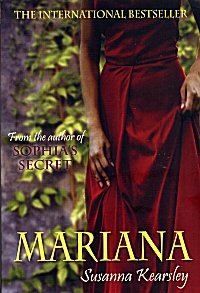 I'm also captivated by the cover and blurb for Mariana. It does look amazing! Thanks for sharing, and for visiting my blog. Enjoy your reads! We have Dreaming of Mr. Darcy in common. Can't wait to see what you think of it. Enjoy your new books! Mariana has been on my wish list since I read (and loved) The Winter Sea. Enjoy! Marianna is the one I will be looking out for. Dreaming of Mr. Darcy caught my eye as I can never get enough of Darcy. Happy reading!